I am still in Christmas card mood. 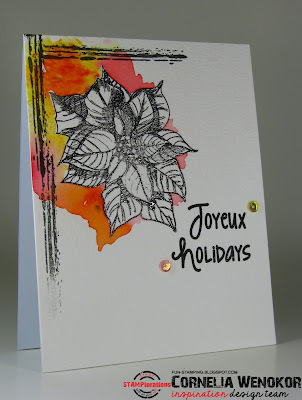 I stamped and heat embossed the poinsettia onto water color card stock. Sprinkled some Brushos around and spritzed it. I made sure to not spritz the inside of the flower. Added the sentiment, the frame and the sequins once everything was dry. I was inspired by Sandy Allnock, who made some fantastic cards using that technique! Me likey...very much. Don't you love the color Brusho's provide. 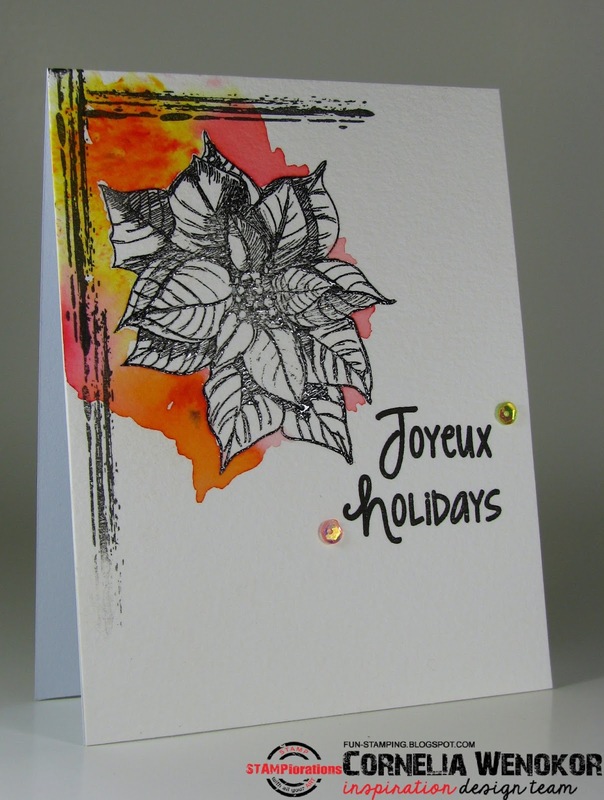 They make that poinsettia pop off the card. Lovely layout, too. FABULOUS [as usual] -- love the colorful bg with the b&w image! Hach dieser Weihnachtsstern, bin immer wieder begeistert, auch wenn er mal nicht farbig daher kommt. Love when you do the 'corner image framing' technique! 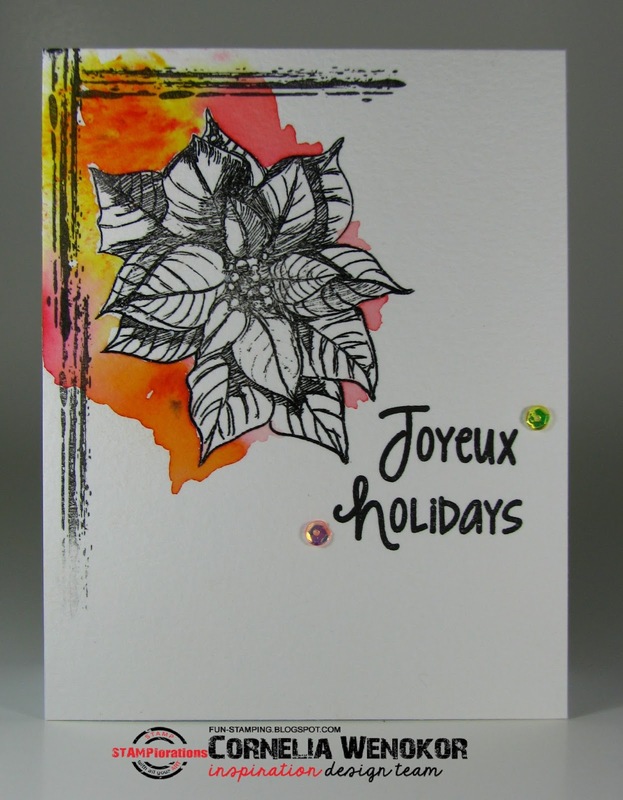 Beautiful way to showcase the poinsettia! 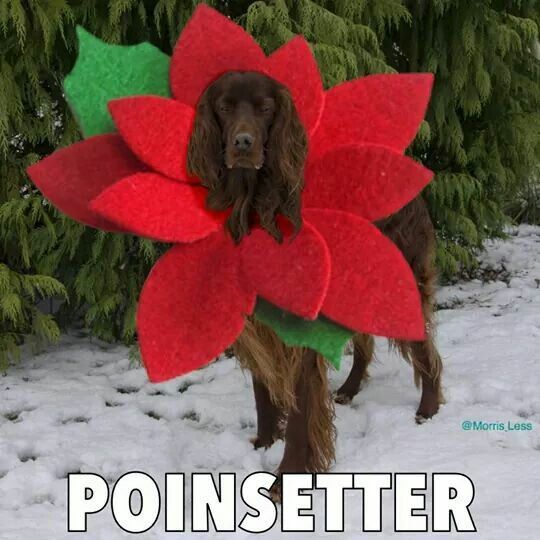 The poinsetter: hahahahahha! Love that, too!